Irritable Bowel Syndrome (IBS) is a disorder defined by symptoms of chronic abdominal discomfort, combined with bouts of constipation and/or diarrhea. It’s estimated that IBS symptoms affect close to one in five adult in the US. If you experience mild to intense abdominal pain, bloating, and difficulty having normal bowel movements, you may want to consult a medical professional, as these could be signs of IBS. Abdominal pain and diarrhea can also be symptoms of other serious conditions. Since there is no definitive test to diagnose irritable bowel syndrome symptoms, medical professionals often conduct tests to rule out other possible causes. These symptoms, occurring with regularity over the course of several months, can be indicators of IBS. The need to defecate comes on suddenly and urgently, often after a meal. Abdominal pain changes after a bowel movement. There is no known specific cause of IBS, but at FastMed Urgent Care, we can offer help and treatment for the symptoms you may be experiencing. Our medical professionals are committed to providing compassionate care of the highest professional standards. You don’t need an appointment, simply walk into your local clinic. The unpredictability of irritable bowel syndrome symptoms can be difficult to manage and can cause serious stress in your life. 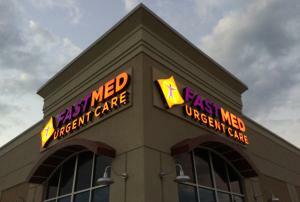 The FastMed Urgent Care treatment model will always include compassionate care and personal attention to help you find the best solution for managing your symptoms.